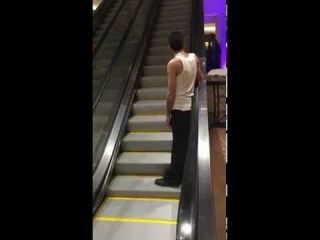 Drunk friend's never ending escalator ride. Hello everybody! Welcome to my profile page on MyVidster. My name is Evelyn (named after my beautiful Irish mom) and I live in London. I am 28 years old and I am an interior designer. I always found it interesting, my parents are both interior designers :) I have 2 dogs and 1 cat. I love animals. I also love reading, playing chess and hiking. I also started baking!